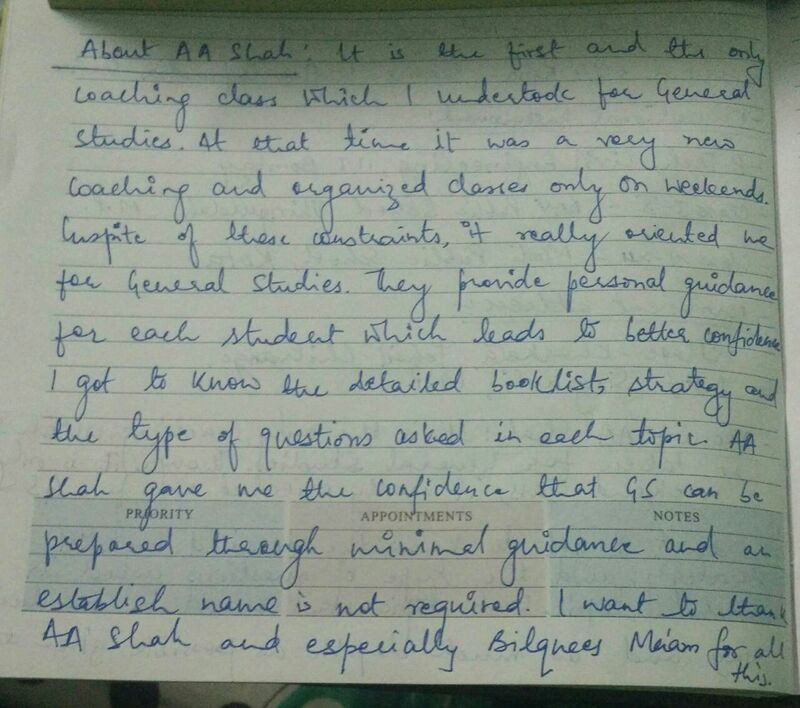 About A A Shah : It is the first and the only coaching class which I undertook for General Studies. At that time it was a very new coaching and organized classes only on weekends. Despite of these constraints, it really oriented me for General Studies. They provide personal guidance for each student which leads to better confidence. I got to know the detailed booklist strategy and the type of questions asked in each topic. A A Shah gave me the confidence that GS can be prepared through minimal guidance and an establish name is not required. I want to thanks A A Shah and especially Bilquees Mam for all this.